I would give this place a negative star if I could. We placed an order for delivery at 6:38PM. The restaurant delivered food at 7:50PM, but they delivered the wrong food. That's annoying, but fine. We called the restaurant and notified them of this mistake at 7:53PM, and they said they were aware of the mistake and would be sending the correct order out. We waited an hour, and the food was nowhere in sight. We called the restaurant again, and was told the food was on its way. We waited another hour, called the restaurant again, and was told the delivery guy left 5 minutes ago. We waited half an hour, and called again, and was told the delivery guy left 10 minutes ago. Apparently, we have different concepts of time. All in all, I'm writing this review four hours after I placed my order and still have not yet received the food I requested. Quite disappointing to say the least. The food may or may not be good - I'll never know - but the service is abysmal for sure. 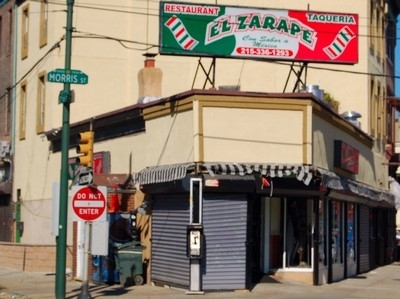 Try Xochitl if you're looking for good Mexican food, try El Zarape if you're looking for a time sink.